So I posted this in AtariAge, and they suggested I post it here, so why not! So while at my local GameTraders, I came across this funny looking thing. 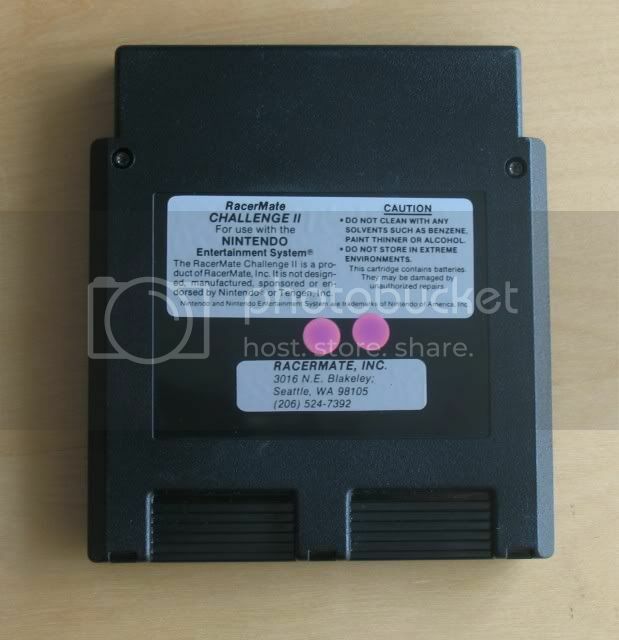 A Tengen cart with someone elses sticker on it? $10? thats a fair enough price to give this oddity a look over. Damn! And I found this in an AUSTRALIAN game store! heres the text on the back, I can't photograph it because it's all shiny. 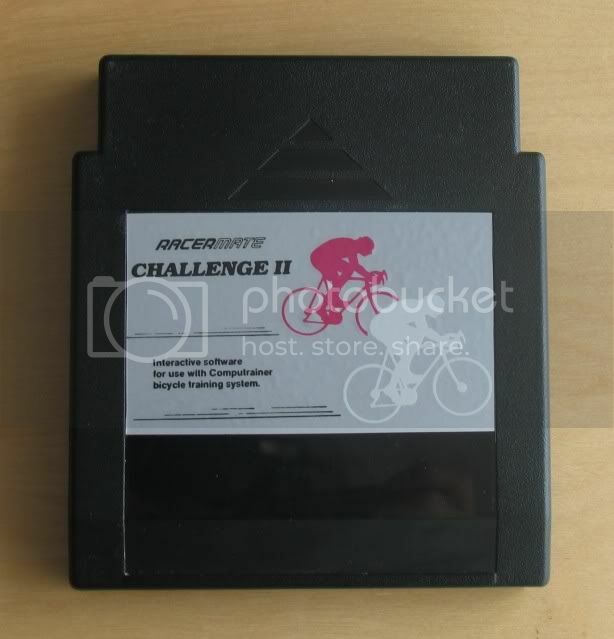 RacerMate Challenge II for use with the NINTENDO Entertainment Systm. 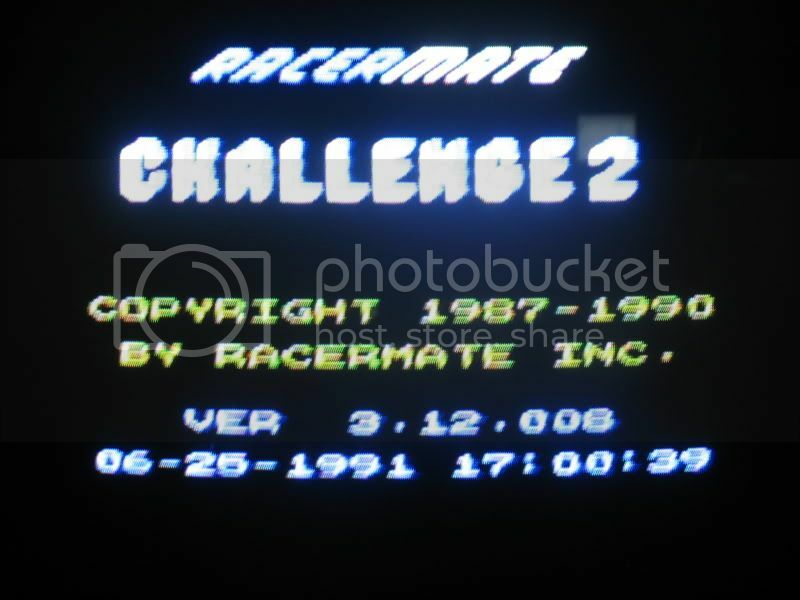 The RacerMate Challenge II is a product of Racermate Inc. it is not designed, manurfactured, sponsored or endorsed by Nintendo or Tengen Inc.
Yours looks very strange, like a tengen cart. I actually prefer that look. someone found a tengen one back a while ago. think it was the bunny master himself. Bunnyboy has one of the originals. Tengen helped Racermate develop this device. I believe RMII uses the same Rabbit Chip technology. The original run was in Tengen cases. They're certainly more rare, but not prototypes or anything, and really shouldn't see that much of a difference in price. I personally think the later releases are more noteworthy since they have their own distinctive (and VERY heavy duty) cartridge, very cool. btw, these came with a toaster NES racermate system. I have had two carts of the different version and different numbers and one of the modded top loaders and dongles (i think Al Baily bought that from me), but never one of these versions. It must have initially cost the original owner a fortune to import the whole setup from WA, USA to Australia. Nice find! great score, congrats i never new there was a PAL version. (ive never even considered it to tell you the truth) i guess thats another game & console to add to my wants list. Heres more info on the carts I have. 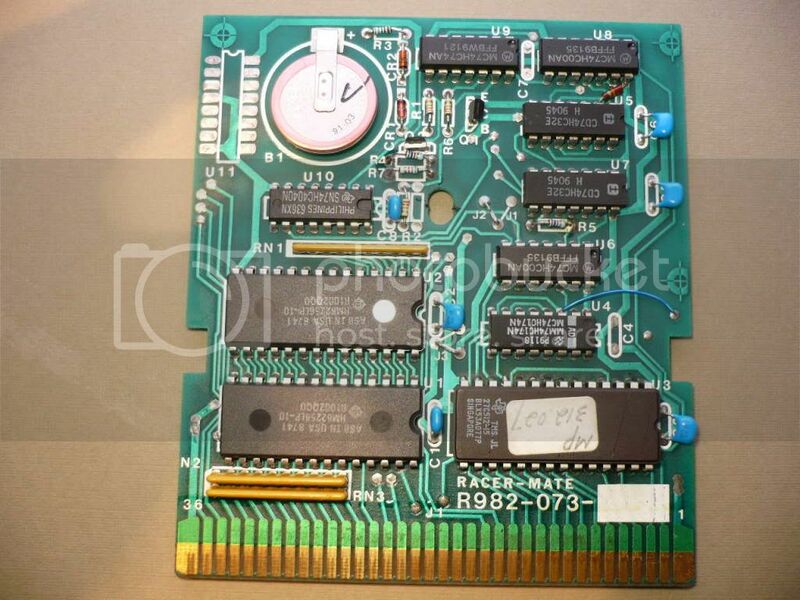 The Tengen one does have the Tengen lockout chip, so it will work in any NTSC NES deck. It is a much earlier version 3.11.008 from 1991. The most common version is 6.02.002 from 1996. The boards in the cases with square knob are the same pcb, but do not have a chip installed in the lockout part. Just a bit more info, I have an Australian Mattel Version NES toaster with the lockout chip taken out (or at least the one pin from it nessicary to skip the check) by me personally. Also, I don't know someone with CopyNES, wanna reccomend anyone to mail it to to get it dumped? I can help out with a CopyNES if you want to dump it futurama. Send me a PM and I'd be happy to provide the service. I want a PAL version in my collection. I have 2 US versions, both different. If anyone wants to get of his PAL cart I would love to make an offer for trade or buy. sorry for the late reply, I'll send you a PM now. Hey there, NGD and I were just talking about the Racermate elsewhere, and he pointed me to this thread. futuramaooy, nice find! I've never seen one with that version number before! I've got a PAL version too, mine's v9.03.128. After seeing your cart, I'm beginning to wonder if PAL versions had their own numbering system, since my 9.03.128 and your 3.12.027 seem to be PAL format only. If you get yours dumped, I hope you'll release the rom publicly, I'd like the chance to check it out! I'd like to eventually get the whole set of versions dumped and released. I've already managed to obtain and dump cartridges of three different versions, and I intend to make the roms available for download soon. Besides the rom bunnyboy posted on nesmuseum.com (which seems to be an overdump, BTW,) have any others been released? I bought mine a few months or maybe allready a year ago on eBay.com.au - cart only btw. I am wondering as I was assuming its a PAL version when I bought it but not pretty sure anymore a smine has no PAL MODE in the screen. The guy who sold it wasn't looking like a collector (it was the only NES game he was selling also no gaming feedbacks, item decribtion was also holded short) - so I am not sure now if its PAL or maybe a somehow imported NTSC version - anybody a guess? Mine doesn't have stickers on the back, although there IS sticker residue over the back screw hole. Also I am terrible because I promised to mail it to get it dumped last monday, but complications arose, so next monday I will send it to Zzap. Been dying to see the inside of this cart, but didn't have the guts to do it myself, thanks mate! Gargantuan, about as much stuff as a Maxi-15. I love how 2 rom chips say USA, 1 says Philippines, and one says Signapore on it..
Hi guys, I just picked up one today. Is there any significance to the different little circle colored sticker on the cart? Mine is orange and now I think I have seen pink and green and orange. On the port deal my sticker was green though. And my cart does have the bottom sticker label or the cart number on the back. The toaster system is number 375 though. Know any NES cartridge variants that I don't have on this list? Let me know if you have confirmed any that I need to add! Thanks!